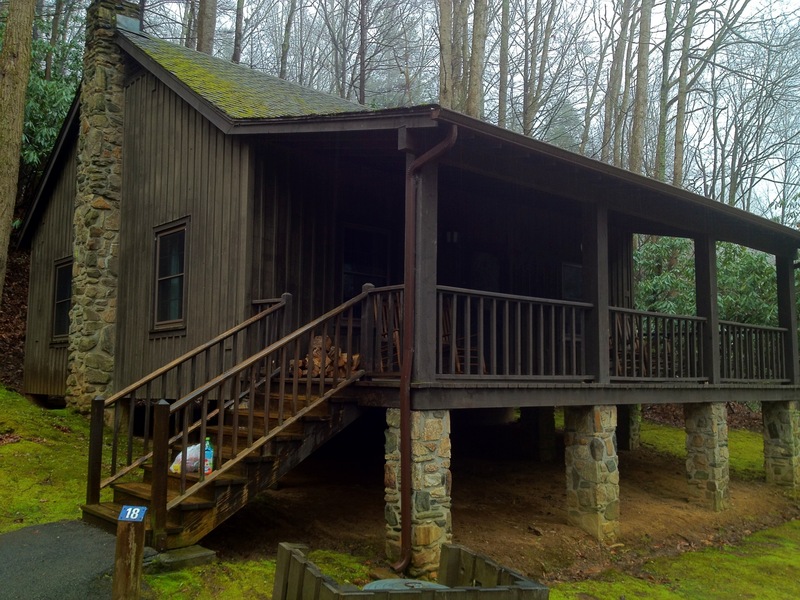 Part of my girlfriend’s Christmas gift this season was a two night stay in the cabins at Roan Mountain in March. We both love this park and area. I was super excited and have been heavily anticipating this weekend for nearly 3 months now. What I did not realize at the time was that it was the first weekend of March Madness, The Big Dance. Being an avid NCAA basketball fan, it was tough to take a trip to a land of enchantment, with no connection to the outside world, on this weekend, knowing that my team UNC was playing its first two games in its bracket just 26 miles from my home. It was quite a test for my character…. Thankfully, full 4g connection was available about 5 miles down into the Roan Mountain valley. Kristin, who has become quite the UNC fan herself allowed me to make several trips down to keep up to date. I can tell she has become quite a fan herself ….. as news of Duke’s 1st round loss was almost as pleasing to her as it was to me…. Anyway, Roan Mountain is probably best known for the beautiful Rhododendrons and Flame Azaleas that light up the mountain every June. There is a festival each summer just for this very thing. 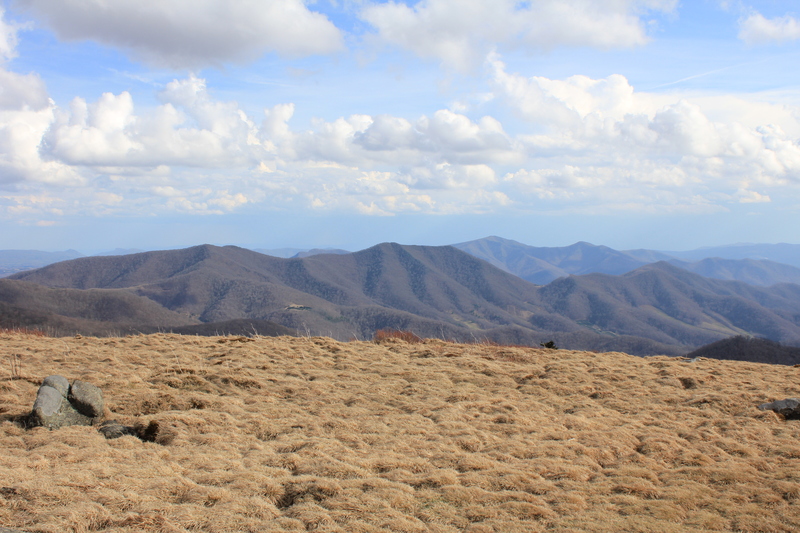 It is also one of the tallest peaks around, towering over 6200 feet, just a few hundred feet short of its big brother to the south Mount Mitchell. It has Roan High Bluff which is arguably the finest scenic overlook in the Appalachian Mountains, and Miller Homestead: a very well maintained farm from the 1800’s. If you want to know how people survived up here back then, take a tour of this during the season. Unfortunately both of these attractions were shut down due to it being March, even though the temperatures soared into the 70’s each day. Not much color yet, but still a sight to see! 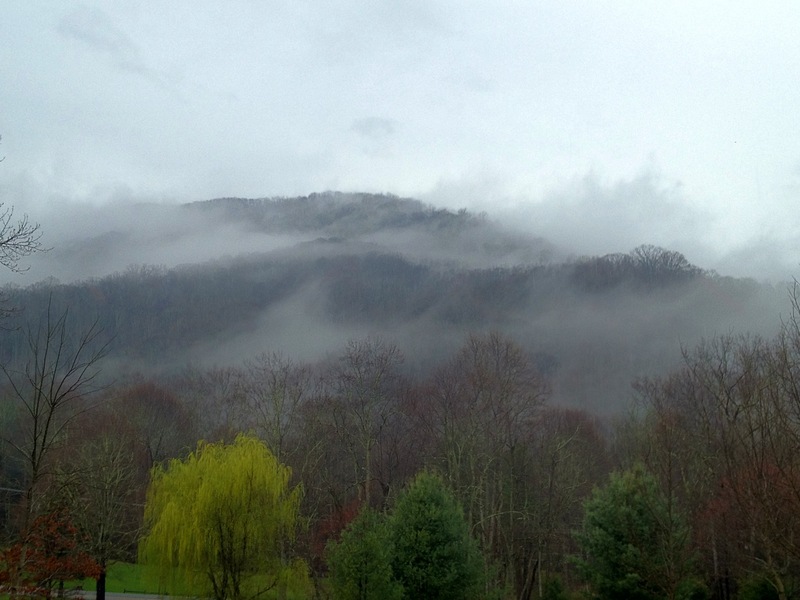 Aside from the Rhododendrons, the other big draw has to be Carver’s Gap and the Balds of Roan Mountain. This area was open for hiking. Carver’s Gap is one of the low points along the ridge and is right on the North Carolina/Tennessee state line. The Appalachian Trail runs right accross hwy 143 here. One direction it leads up to the top of the mountain with spur trails to the historical site of the old Cloudland Hotel, and Roan High Bluff. 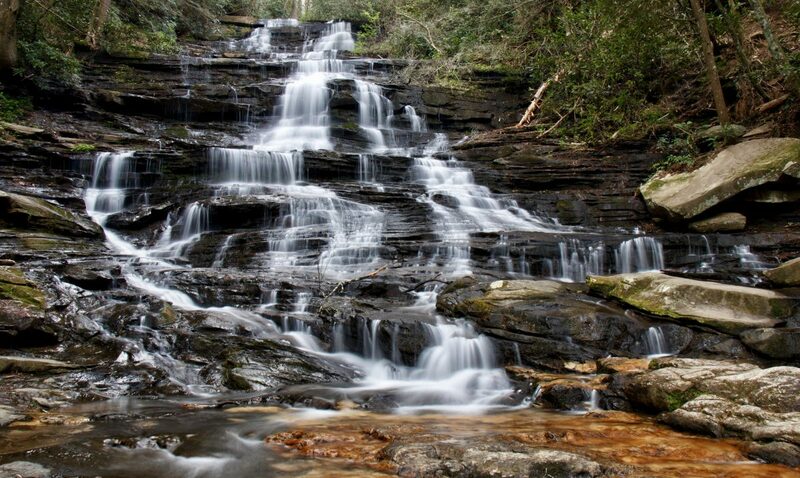 If you wish to see Roan High Bluff, the AT is how one must get there until April I am guessing. The other direction follows the AT to Balds named Round, Jane, and Grassy Ridge. This is some spectacular hiking with miles of 360 views, one side being the Tennessee mountains, the other side being the NC mountains. It is beautiful any time of the year, but it seems to peak in June, when the mountain is exploding with color. The elevation up here is just above or below the 6000 feet mark, so plan for cooler weather up here and conditions that can change in a hurry! 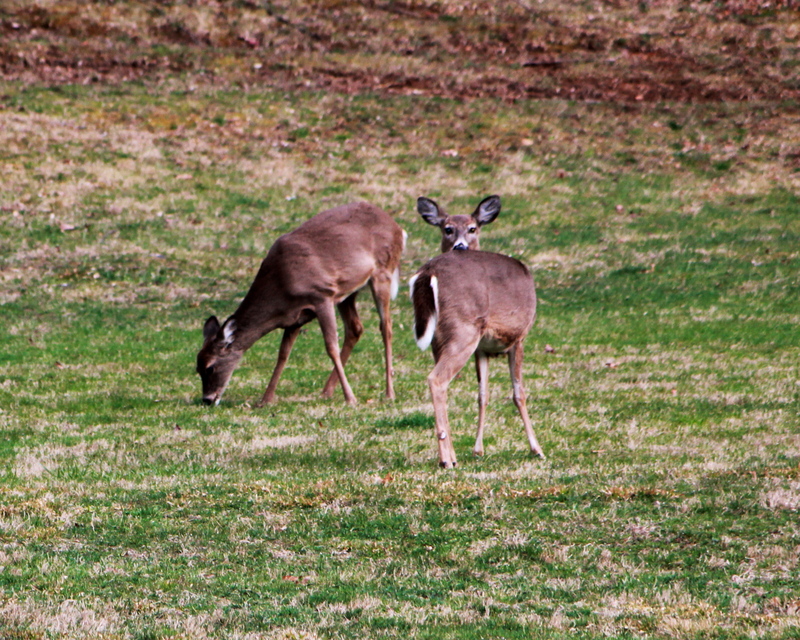 As you drive through Roan Mountain, and pretty much anywhere along Hwy 143 and then 19E from Roan Mountain to Elizabethton, you will find yourself along side the Doe River. I wished I had kept count of how many times we crossed it, it would have been quite a number. 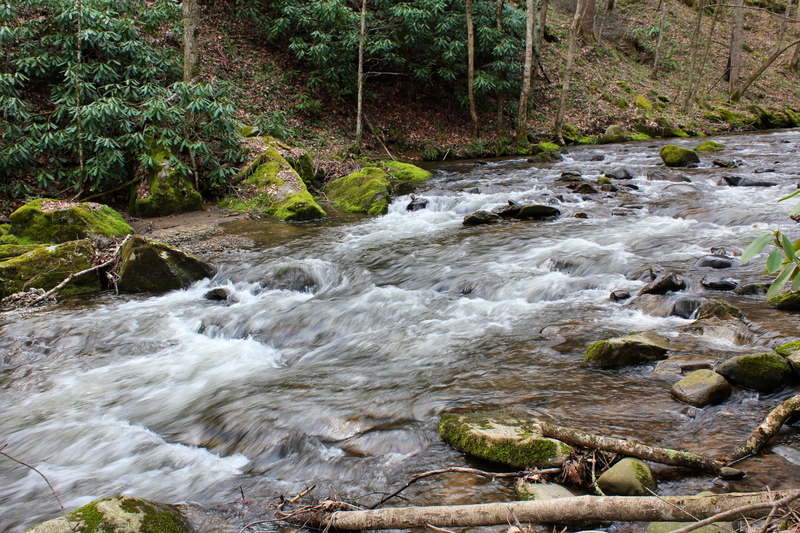 The stream’s headwaters have to be somewhere up on Roan Mountain. As it flows below the cabins, it is a beautiful stream, full of life and swift currents the whole way it seems. Hiking the trails and driving the park, the chances to become one with this river are plenty. It is a state stocked trout stream, so expect plenty of fishermen standing knee deep in the rapids as you drive by. Nice!glad u guys had a good time!